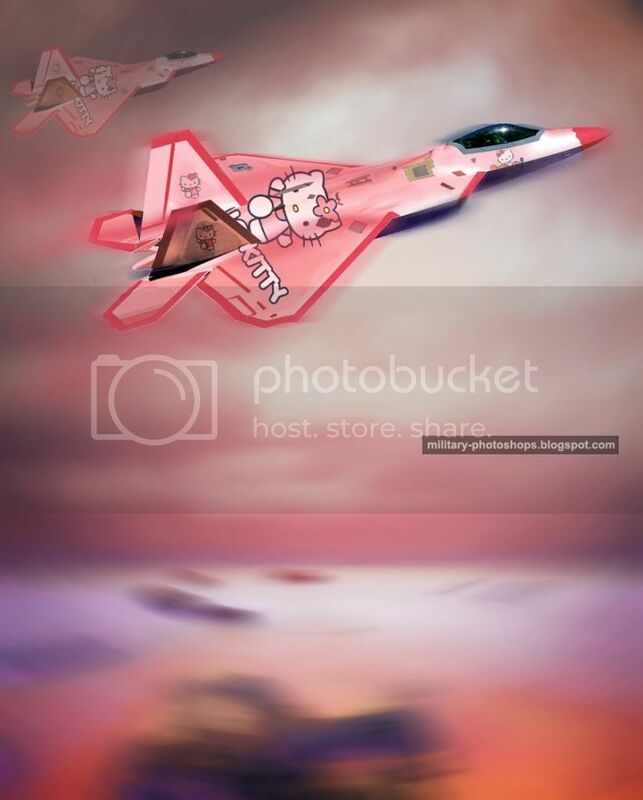 Painted in Pink gloss with Hello kitty or Not, The F/A-22 is an air-superiority fighter with improved capability over current Air Force aircraft. From the inception of the battle, the F/A-22's primary objective will be to establish air superiority through the conduct of counter air operations. The F/A-22 also has an inherent air-to-surface capability. A combination of improved sensor capability, improved situational awareness, and improved weapons provides first-kill opportunity against the threat. low quality is one term for it, butchering perspective is another. How would this have to be painted on the wings to come out looking like this? The angle is all messed up.